Google Ads (formerly known as AdWords) has been with us for many years and has always published frequent updates to improve its services. But in recent times, the improvements in machine learning have allowed Google to make a leap in terms of marketing automation. 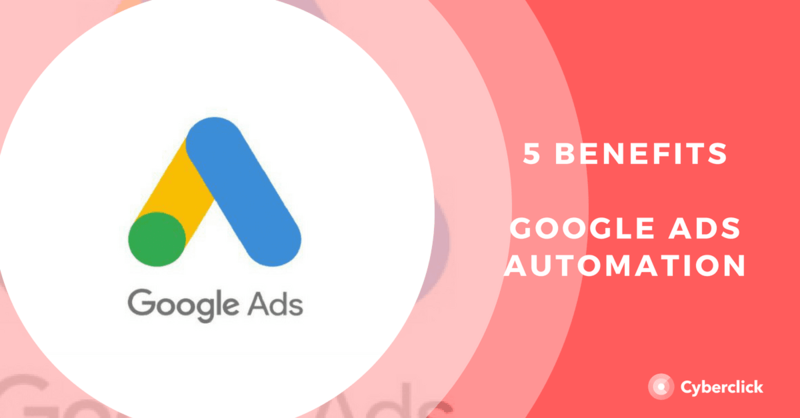 Let's take a look at 5 ways how Google Ads can automate for you. Smart Campaigns is a new Google Ads solution that will become the default campaign type for new advertisers. Smart Campaigns automates targeting, goal-based bids and even landing pages, based on Google Business data and user-selected images. The budget, the destination locations and the language have yet to be selected manually, but setting these options is a minimal job. If the advertiser prefers to work with an agency or take care of their own SEM, they can choose to continue manually configuring their campaigns. This type of campaign, launched in 2015, aims to help advertisers get more installations of an app or more conversions within it. Once the campaign is set up, Google Ads takes care of almost everything, as it automatically manages bids, targeting and graphics and optimizes the campaign to get the best results within the budget. Since the graphics are configured through the presentation of the app in the app store, it is advisable to optimize this section manually. This new subtype of campaigns makes it easy for merchants to create shopping ads, a format that is already responsible for 60% of all clicks for retail businesses on Google. Shopping campaigns automatically serve Shopping and Remarketing ads on the Google display network and use data from at least 20 conversions in the last 45 days to predict bids and optimize results. Google Ads has seven different automated bidding strategies that help users achieve a variety of business goals with very little effort. In addition, three of them use machine learning to predict which are the most likely to generate a conversion. Although automatic bidding greatly facilitates the work of advertisers, it must be borne in mind that it is still necessary to adjust the targets manually to achieve optimal results. For advertisers with very large websites or who sell many different products, it can be difficult to keep ads up to date. That's why dynamic search ads are responsible for automating this process. The advertiser can choose between including all the pages of his website that are indexed in Google or only those that are in a certain feed. From there, Google directs the advertising and creates titles for the ads automatically.